The perfect swing for the littlest member of the family. Our full bucket swings include galvanized bucket hangers and a polymer molded seat rated for 75 lbs. 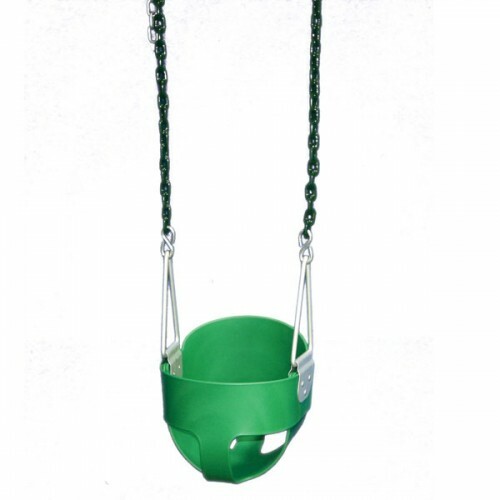 Our swings have built in UV protection so they won't heat up or fade in direct sunlight. The 5' 1" electro galvanized chains are 3/16 inch proof coil with the bottom 30" hot dipped in plastisol for a "pinch-free" grip. Bucket: Diameter 12" Height 10"